Lions often wonder about how we encourage younger people to form clubs and become Lions. There is no better way to find out than to ask a young Lion. Here is a story from a young club full of them! 12 months ago if you asked me what I knew about the Lions Club, the first thing that would come to mind is the 6 year old me pestering my mum to buy me some Lions Club mints from the Penrith branch of the State Bank. I’m not even sure if you can still get the Lions Club Mints, however I do know that the State Bank no longer exists. The second thing that would come to mind is that Lions Club help their communities and they cook a mean sausage at Bunnings. That is where my knowledge would have ended. Fast-forward 12 months. I am now part of one of the most exciting ventures my student life has thrown at me. I’m not your normal school leaving student. I served 6 years in the Royal Australian Air Force, and I have been a professional photographer pretty much since I left school in 2003. I joined University as a means to an end, the end being a career change into Marketing. I treated my studies as a job, as something I was doing to move onwards in my career goals. However I was doing it wrong. University is about a lot more than just lectures, exams and certificates. University is meant to be a place that provides you the platform to better yourself not only professionally, but to better yourself so you can be of more use to society in general. Lions Club is the reason why I’m so excited. This brand new club has the potential to be a driving force in connecting the University of Adelaide to its community. It has the potential to take University students away from the laptops and into the community. The Adelaide University Lions club aims to give its members the platform they need to engage in their community and do some good for it. The bonus is that whilst they are helping others, the students will also be gaining invaluable life skills along with sort after professional development opportunities. You might be wondering why our lions club is different, why is so exciting? Lions Club is a behemoth in the charity world, It has over 1.36 million members situated in over 210 countries. 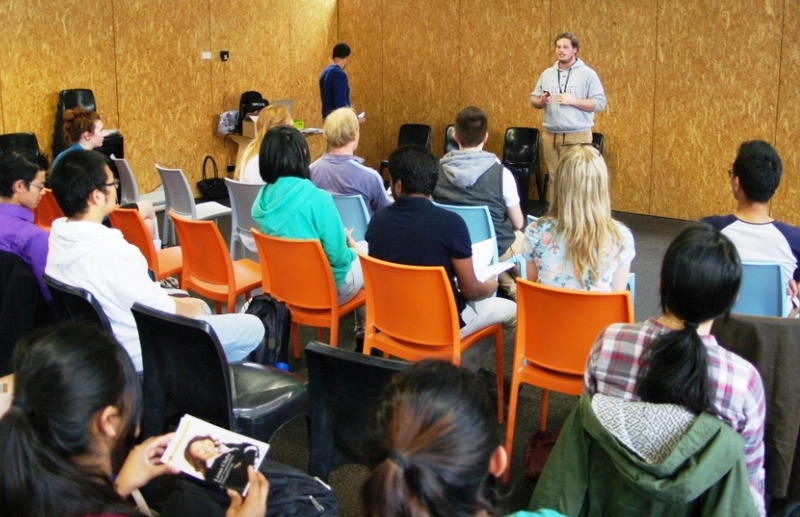 Adelaide University Lions Club is one of the first university student run clubs in Australia. We have the full support of Lions Club Australia who view this project as a building platform and inspiration for other university clubs to start up across our fine country. Students bring a passion that only youth can bring. We bring new ideas, new ways of doing things and new ways to offer help to our community. Since the club has been officially sanctioned by Lions Club Australia we have began to spread the word and build our membership. We now have over 300 followers on our Facebook page and that grows everyday. We will be using a digital approach to promote our fundraising events and will be putting on events that young people can relate to. We will then be aiming to start to offer the Adelaide community help where the community seeks it. One potential project that I am very excited about starting is the Adelaide University Lions Club program we’re going to call “Your friend before you arrive”. This program aims to connect Lions members with incoming students who did not grow up in Adelaide. The aim is to have an Adelaide University Lions Club member meet them when they arrive, show them around and also be there for them when they might need a little help or if they just miss home. We know it can be hard moving away from home and first year university can be stressful enough without the anxiety of living in a new city without the support network that you are used to. This is one of many future services we aim to provide to our community. We are a young club in both our members’ age and in time we have been around, but we are driven, passionate and ready and willing to help. We are young South Australians and we serve. So amazed at this group of astounding young adults – and even a little chuffed to have been there providing suggestions to the now Charter President on what a Lions Club at the Uni would mean to our District C1. Well done and cannot wait o see you grow and become a huge benefit to your community. Good on you Young South Australians! Our club consists mostly of people over the age of sixty(some a long way over!). What boon it would be if we could get some members your age. Would be good if we could get some of you to promote the concept in other universities. Rob, let’s talk about how this can be achieved either by transporting SA members to other states to speak to students or connecting them via social media.